Tools for Self-Realization and JOY! Friday: 5:30 p.m. – 9:30 p.m. , Saturday: 9:00 a.m. – 7:00 p.m. , Sunday: 8:00 a.m. – 6:00 p.m.
FREE KUNGA JOURNEY SNEAK PREVIEW AND MEET THE RETREAT LEADER SESSION! WYC will be hosting a free overview session for our upcoming Kunga Journeys yoga service retreat to Kerala, India working with the Home of Hope Orphanage. The session includes a brief pranayama and meditation, and an overview of the retreat with the retreat leaders, Noelle Whittington, 500ERYT + Trey Barefoot, ERYT200. We’ll be sure to leave time for your questions too! June 21-23- Free Kunga Fest! Help us raise money for Homes of Hope India Orphanages! Special events and FREE classes all day Saturday and Sunday! 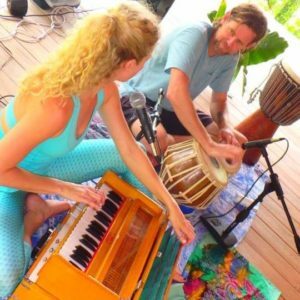 Fri June 21: 6-8pm-Kunga Kirtan! Free and open to all! Bring your instruments and your open heart. Let’s sing together! Wilmington Yoga Center– 5329 Oleander Dr ste 200, Wilmington NC 28409- 910-350-0234. Love donations accepted.